Need it hard wired? So you don't have wires criss-crossing your dashboard! 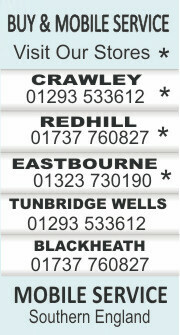 From £69.99 mobile service throughout the South. Tele 01293 533941 for details. The MiVue™ J60 is built to make your driving experience better. With its sleek design the device can be discreetly installed behind your rearview mirror, keeping your line of view clear. Need your Thinkware hard wired? So you don't have wires criss-crossing your dashboard! From £99.99 mobile sevice throughout the South. The new flagship camera from Thinkware offers top of the range capabilities. The F770 also incorporates new features including ‘Super Night Vision’, a night image correction feature, and ‘Time Lapse’ that dramatically extends the parked recording hours. The F770 features a 1080p Full HD front facing camera and 1080p Full HD rear facing camera. Parking Mode will allow your dash cam to stay on, even with the ignition off and provides impact and motion detection surveillance to provide protection whilst you are away from your vehicle. The Thinkware App for iOS/Android mobile devices provides instant video playback and allows for device configuration. recorded footage in both Micro SD and NAND Flash Memory when an impact is detected. It is particularly useful if a microSD card is removed or damaged due to a collision. The video files stored in NAND Flash Memory are available to view by using the PC viewer. Need your Blackvue hard wired? So you don't have wires criss-crossing your dashboard! From £29.99 in store. The BlackVue DR750S-2CH dash cam is the flagship dual camera model in the BlackVue range and the choice for the power-user who demands the ultimate in video quality and ‘connected’ technology. With Full HD 1080P performance front and rear, the DR750S-2CH provides class-leading protection for your vehicle by recording fluid 60 frames per second video footage via an ultra-wide lens with a 139° viewing angle. A Sony STARVIS image sensor ensures the best possible image quality under any lighting conditions. 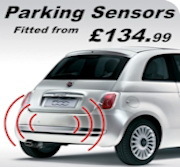 Also included is GPS logging, Wi-Fi, Cloud connectivity and impact and motion detection. All this in a stealthy compact design. Connect to your DR750S-2CH anytime, from anywhere in the world with BlackVue Over the Cloud. Enjoy remote Live View and Push Notifications to your phone. Back up important videos to the free Cloud storage. Play and download videos from your dashcam’s memory or the Cloud from anywhere. Enjoy Two-way Voice Communication with the driver from the app through the BlackVue’s integrated speaker and mic. Whether you are driving or away from your vehicle in parking mode, you can rest assured that your BlackVue dashcam will capture all the critical details.